2017 was such a special year for us at the Hungaria Stamp Exchange. We thank all of our existing customers who have supported us for so many years, colleagues and friends for making 2017 an amazing year for us at the Hungaria Stamp Exchange. And we welcome all our new customers and colleagues joining us at the start of 2018! 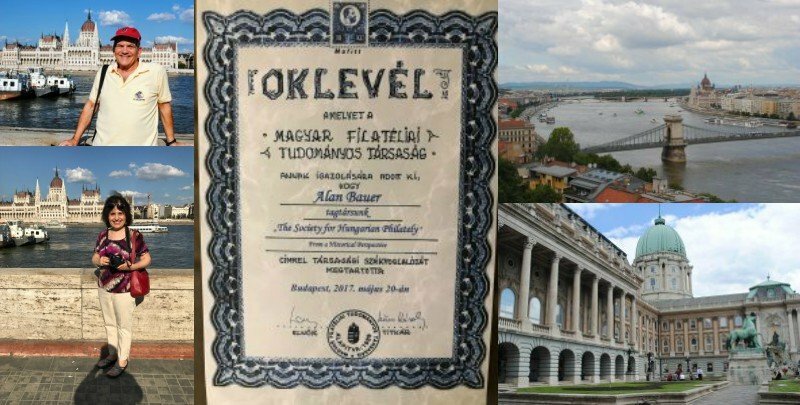 On a personal note, Alan and Diane had the fantastic opportunity to travel to Hungary in the late spring to visit with family, friends and colleagues in Budapest and Szeged. Culminating the trip was Alan’s presentation to MAFITT. If you happened to miss that blogpost highlighting the trip here are a few photos to enjoy. In November our family celebrated the happy occasion of Andrew and Stacie’s wedding at the New England Aquarium in Boston. It was such a beautiful event that we were able to celebrate together. All good wishes from our family to yours for a Healthy and Peaceful 2018! 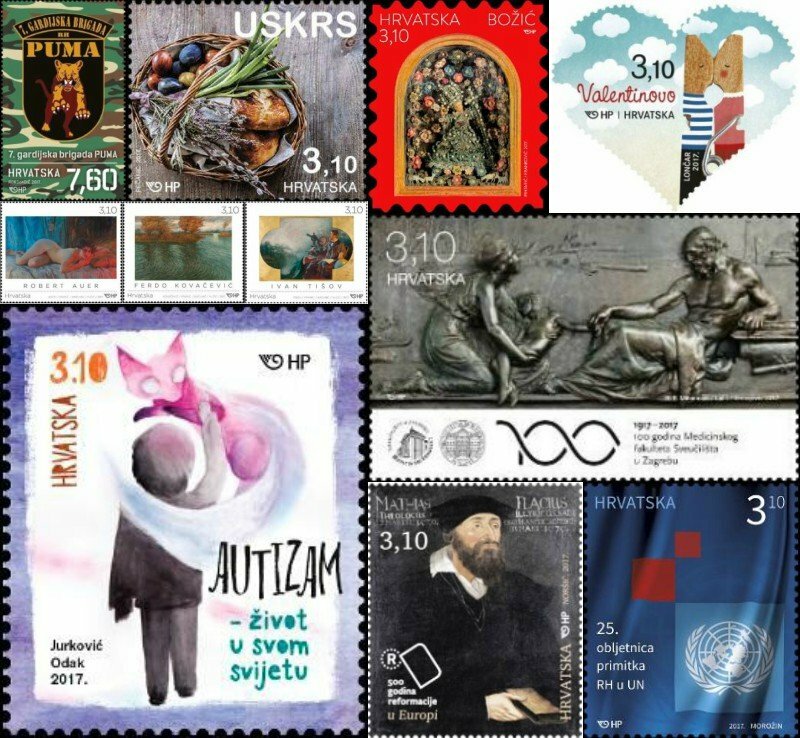 Moving on to the Philatelic portion of our newsletter, Hungaria Stamp Exchange is pleased to offer 2017 New Issues from Hungary, Kosovo, Croatia, Bulgaria, Slovakia and the Czech Republic. We have highlighted the themes and images of these New Issues here for you and are sure they will be enjoyed by country and topical collectors alike. Finally, for those of you that enjoy browsing in our online store we hope you will check out our expanded Topical Philatelic Collections which now includes a delightful Holiday Philatelic Collection from many Eastern European countries and a fantastic Landmarks Collection. In honor of the 20th memorial anniversary of Princess Diana we are pleased to launch the HSE Princess Diana Collection. Each year the members of the Association of European Postal Operators issue stamps from their respective countries based on a common theme which emphasizes their common roots of European history and culture. 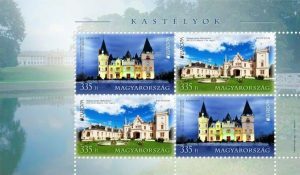 The castles depicted on the Hungarian release are the Andrassy castle in Tiszadob and the Nadasdy Castle in Nadasdiadany. Kosovo Europa depicts the Castle of Prizren, located above the old city of Prizren that has special scientific, environmental and tourist value. It was inhabited from Prehistoric time until the time of the Ottoman Empire. 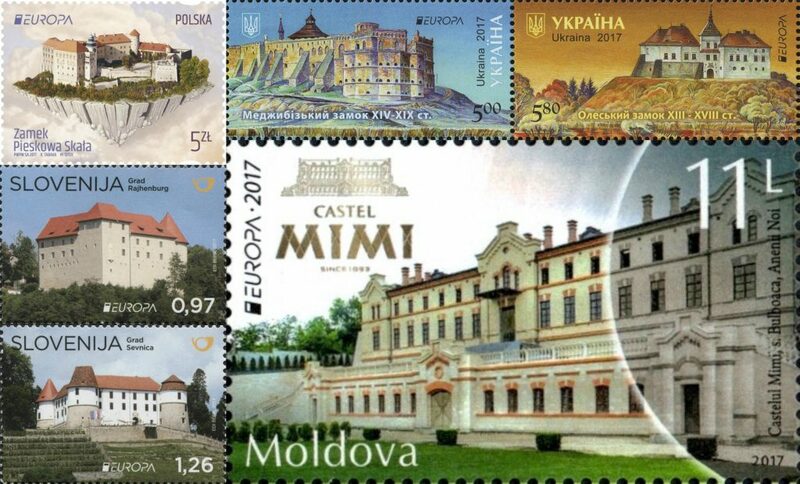 Europa Collection includes Castles of Hungary, Croatia, Kosovo, Moldova, Latvia, Lithuania, Poland, Slovenia, Ukraine, and more. This philatelic issue has been released in cooperation with Austria, Croatia, Hungary, Slovenia and Ukrainian Posts. 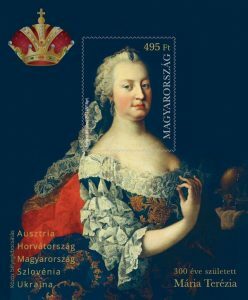 Maria Teresa Queen of the Hungarians, the Czechs and the Croatians, and Archduchess of Austria reigned from 1740 to 1780. As the wife of Francis l, Holy Roman Emperor she also had the title Empress and was the only female who reigned the Habsburg Monarch. She was considered regarded as an enlightened ruler, a great stateswoman and a reformer who also extended the kingdoms she ruled. She also sought moderniza tion and formulated reforms in the judiciary, economy, education and military. Maria Teresa abolished torture and witch hunting and improved the position of the peasants. In her legacy, Maria Teresa’s lineage impacted many rulers of Europe. Of her 11 daughters and 5 sons three became the famous rulers, including Marie Antoinette, Queen of France and kings Joseph ll and Leopold ll. to the fourth Century Baptismal po ols of early Christianity in ancient Ulpiana and the 500 year anniversary of the Reformation. For the more adventuresome the year set includes a stamp celebrating “High Diving from the Fshejte Bridge”. This very popular water sport in Kosovo is returning after a three year hiatus. The sport is held on the bridge which is 20 meters (65 feet) above the River Drini. These continue to be truly wide ranging and artistically distinctive. The stamps range from the commemoration of traditional holidays of Christmas, Easter and Valentine’s Day to the War of Independence: Puma Brigade to the 25th Anniversary of the Accession of the Republic of Croatia to the United Nations. The social awareness stamp Autism-Living in Their Own World is a truly unique issuance. performer, Frank Supilo politician and journalist and Faust Vrancic mathematician, inventor, linguist; as well as Flora and Fauna, Children’s stamps and Bridge Across the Lika River and the 100th Anniversary of the Premiere of the first Croatian Motion Picture. Hungaria Stamp Exchange is delighted to offer the fabulous 2017 new issues of Hungary as complete year sets both mint and pre-cancelled, with supplements or as individual stamps and specialty commemorative booklets. We are sure Country collectors as well as Topical collectors will appreciate the depth of topics ranging from celebrations of flora and fauna, traditional holidays of Easter and Christmas to celebrations of the birth of fine artist, cinematic artist and director, writer, composer and mathematician. There is memorial stamp in memory of the Gulag Gupti Victims, Hungarians imprisoned by the Soviets at the end of World War II and sent to forced labor. Postal commemoratives are well represented in this year’s issuances. 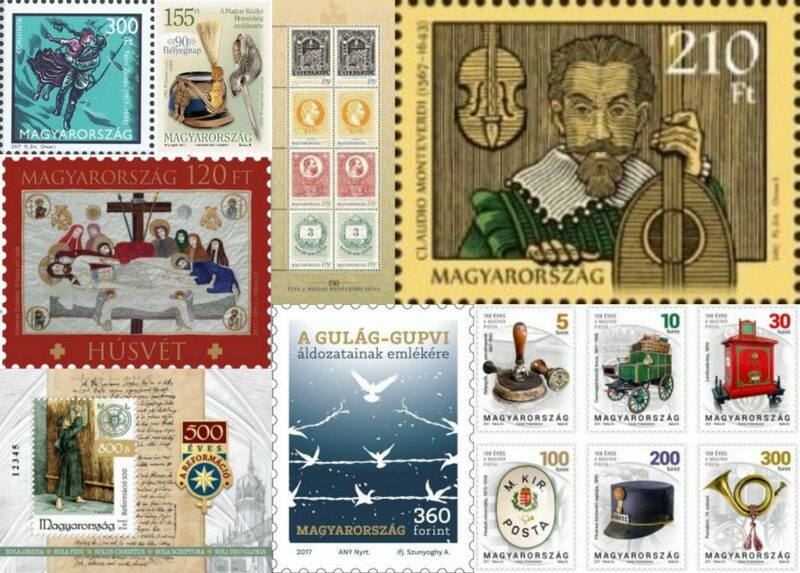 In addition to the 90th Stamp Day, there are stamps celebrating Magyar Posta being 150 years old, a Definitive Stamps series and a joint issue with Austria celebrating the first Hungarian postage stamp. 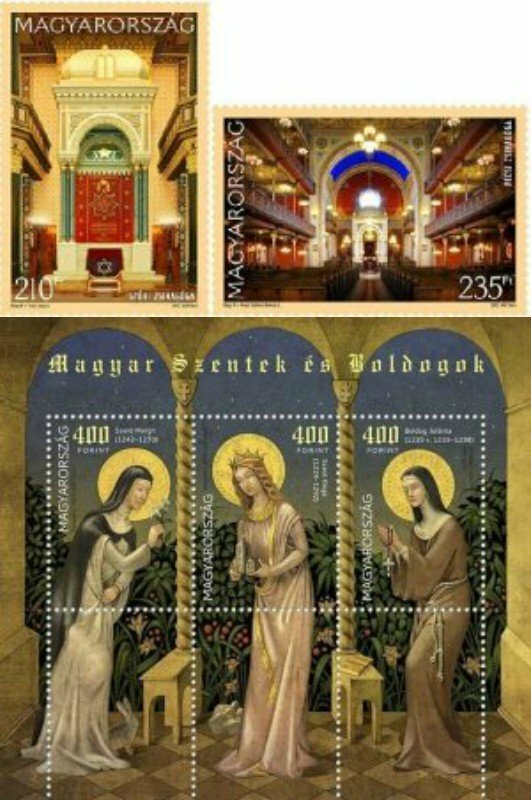 The religious theme is represented by the 500 Year Anniversary of the Reformation, Saint Ladislaus 940th ascension to the throne of Hungary, and the series of stamps presenting the synagogues of Hungary. 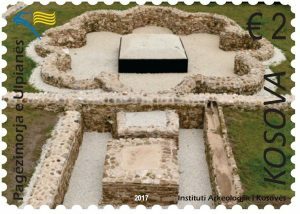 The 2017 set of two stamps shows the altar and details of the interior of the synagogues in Győr and Pécs. Also there is a continuation of the Saints and Blesseds magnificent issuances. This year the Saints and Blesseds commemorative honors Saint Margaret, Saint Kinga and the Blessed Yolanda. All three are the daughters of King Bela IV second founder of the state who rebuilt it after it was devastated by the Mongols 1241-42. Each of their lives were influenced by the ideal of poverty prevalent at the time. 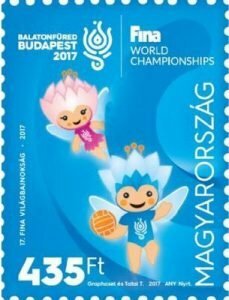 Sports issuances include a celebration of the efforts of Florian Albert when he won the Ballon D’Or 50 years ago as well as the stamp celebrating the honor of hosting the World Aquatics Championship (FINA) held in Budapest-Baltonfured 2017. We were so excited to have had the opportunity to visit this amazing aquatics center during our May trip to Budapest! 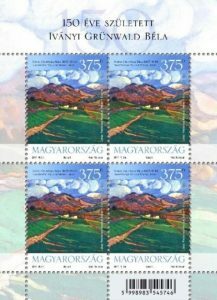 And to those collectors that enjoy art stamps, the stamp features the painting Nagybanya Landscape with the Gutin Mountains by Béla Iványi Grünwald. Grünwald who was a leading Hungarian artist of the late 19th and early 20th century and was influential in the Plein-Aire movement at Nagybanya artist colony and later as a leader in Kecskemet. 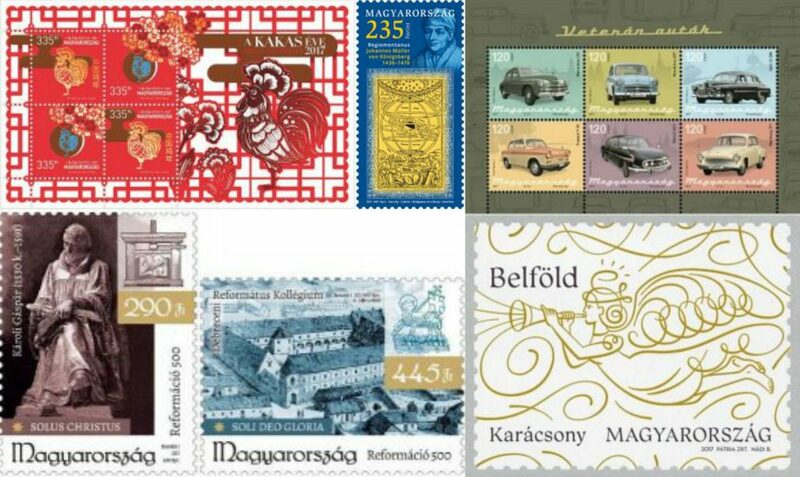 Hungaria Stamp Exchange is delighted to offer the complete Year Set of Slovakia in a lovely presentation booklet or as exquisite individual stamps that are of interest to country as well as topical collectors. 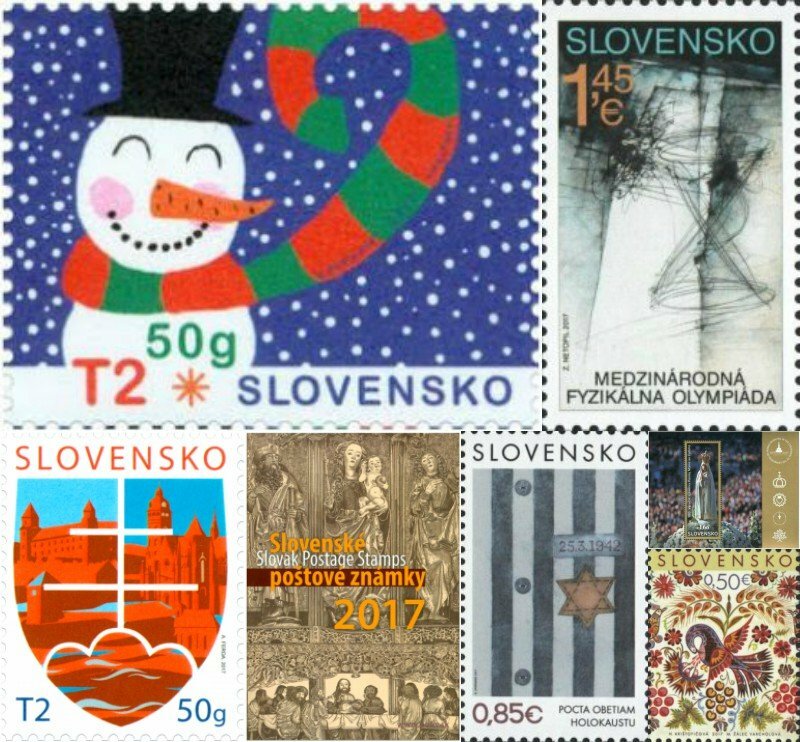 Topicals for Slovakia New Issues of 2017 include: 100th Anniversary of Our Lady of Fatima Apparitions, Holidays Easter and Christmas 2017, Tribute to Victims of the Holocaust, Famous People: 19th Century Writer Jozef Miloslav Hurban and Andrej Radlinský, Tribute to Technical Monument Orava Dam and the 25th Anniversary of Art Film Festival. We are delighted to share some of our enchanting images of one of the most beloved princesses in European history. We hope you will enjoy viewing them as much as we do. 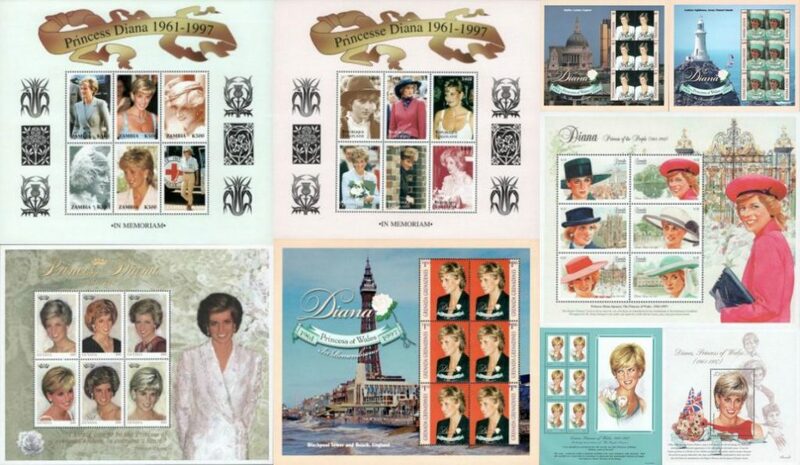 See more of the Diana, Princess of Wales Collection in our online store. 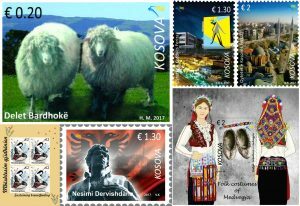 Each of us at the Hungaria Stamp Exchange hope you enjoy viewing this sample of some of the most fascinating and exciting Eastern European new issues of 2017. As always we continue to enjoy making these and many other offerings available to you and look forward to hearing from you during the new year!